Renovated & Revamped!! This stunning 3 bedroom home sits on approximately 0.58 acres in the Lakeside Estates subdivision. Cozy front porch welcomes you through to the living room area. Living room connects to the family room with stylish electric fireplace in front of the shiplap accent wall. Living and dining room area feature gorgeous wood look laminate flooring. Kitchen boasts stainless steel appliances and TONS of cabinet and countertops. Down the hallway you'll find the bathroom and laundry room and all three bedrooms. Back deck access off of the kitchen. 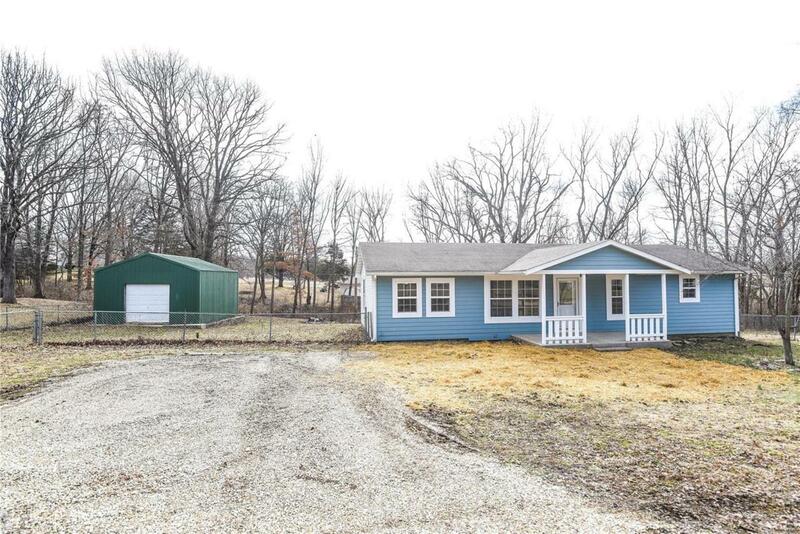 Added bonuses include the detached workshop garage, washer and dryer, and partially fenced in yard. Call today to schedule your private showing! !